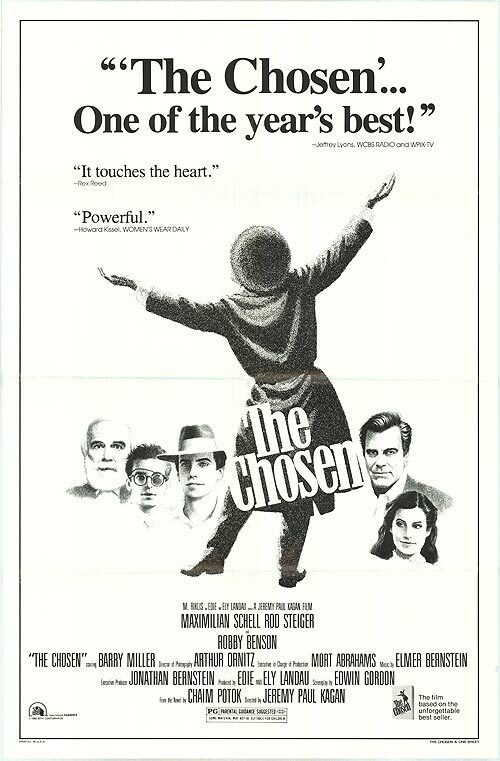 THE CHOSEN is a 1981 drama based on the best-selling book of the same name by Chaim Potok. Set in Brooklyn in 1944, two Jewish boys become unlikely friends. Danny Saunders is a traditional Orthodox kid, spending his days amidst his Hasidic community and answering to his Rebbe father, while Reuven Malter is a middle-class Modern Orthodox Jewish teenager, the son of a liberal college professor and dedicated Zionist. The issues of tradition, parental expectations, and the formation of Israel cause friction, but they don’t keep the boys from exploring each other’s different worlds. Starring Oscar winners Maximilian Schell and Rod Steiger, THE CHOSEN will screen on what would have been Potok’s 90th birthday. The screening will feature a Q&A with author Rena Potok and award-winning director Jeremy Kagan (via Skype). It will also be followed by a book signing and complimentary reception.